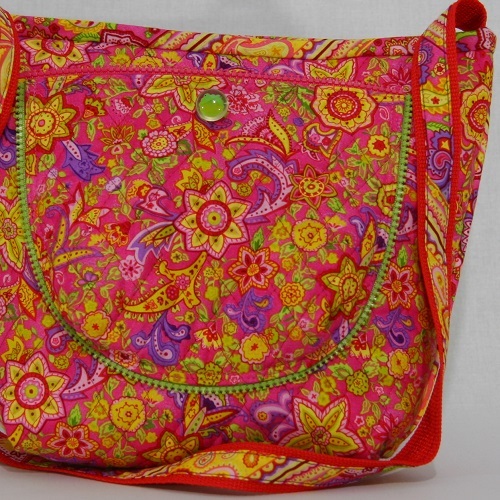 Pink is a Girl’s Best Friend! 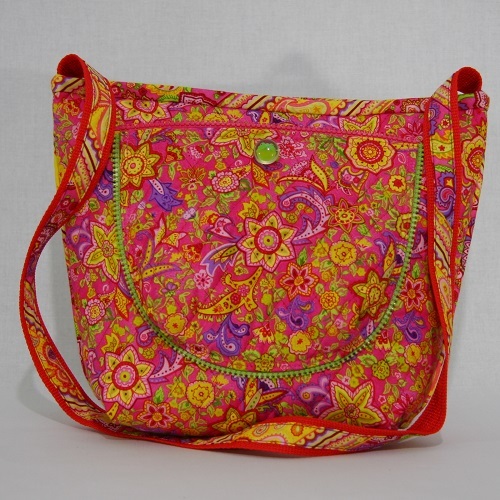 Combine pink with yellow, red, purple & lavender to create a winner of a bag. 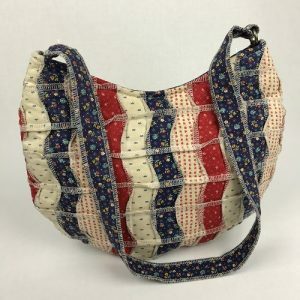 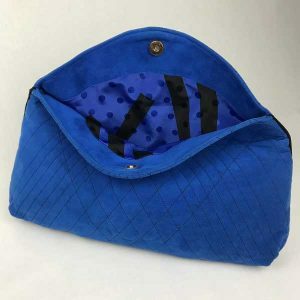 With fabric trim on webbing & zipper trim on pocket, this zip-it-up bag has inside zipper pocket & swivel hook for keys. 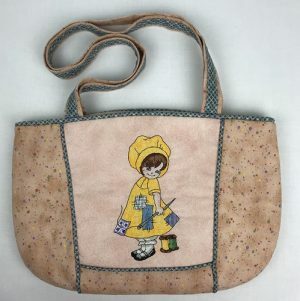 Featured in the Zip Couture book, this cute bag has a glass frog button on the pocket.